Exercise benefits: According to this study exercising regularly could prevent arteries from stiffening, thereby aiding smooth flow of blood and reducing risk of many heart diseases. Want a youthful heart and a healthy long life? Exercise. Yes, you heard us. According to a latest study published in the Journal of Physiology, exercising four to five days a week could help benefit your heart health and also slow down ageing. Scientists have time and again emphasised on the beneficial effects of exercise on one’s health. Regular exercise has been linked to better diabetes management, weight loss, or combating mental decline in dementia patients, and according to this study exercising regularly could prevent arteries from stiffening(which happens with age), thereby aiding smooth flow of blood and reducing risk of many heart diseases. The team found that different sizes of arteries are affected differently by varying amounts of exercise. The findings revealed that exercising for two to three days a week for about 30 minutes could possibly help minimise stiffening of middle-sized arteries, exercising for four to five days a week may help keep larger central arteries youthful. For the study the team investigated 102 people over 60 years old, with a consistent, lifelong exercise history. It was found that a lifelong history of casual exercise (two-three times a week) resulted in more youthful middle-sized arteries, which supply oxygenated blood to the head and neck. 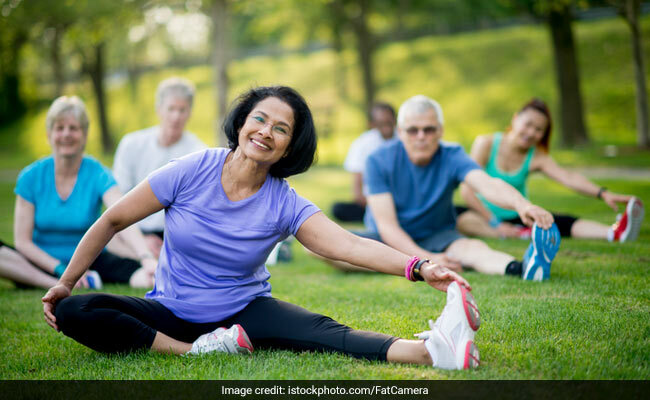 However, those who exercised regularly for four to five times a week were found to exhibit more youthful large central arteries. Large arteries help provide blood to the chest and abdomen. The scientists aimed to investigate “if we can reverse the ageing of a heart and blood vessels by using the right amount of exercise at the right time”, said Benjamin Levine, one of the study authors from the University of Texas. In addition to exercise, your diet too plays a significant role in maintaining your heart health. Here are five foods you must include in your daily diet for a healthy and youthful heart. 1. Oats: The antioxidants present in oats are beneficial for heart disease and the dietary fibers help lower the bad cholesterol (LDL) without affecting the good cholesterol (HDL). Oats also help reduce your cholesterol levels and keep your heart healthy. 2. Nuts: Nuts like walnuts and almonds have high amounts of unsaturated fats that are good for your heart as they help in reducing the inflammation of the arteries. 3. Legumes: Legumes are rich in antioxidants, proteins and fibre that are excellent for heart. They are also a great source of folate which helps in increasing the platelet activity. 4. Berries: Loaded with heart-healthy phytonutrients and lots of soluble fiber, berries make for an excellent heart-healthy food. You can blend them in a smoothie, sprinkle them over your breakfast cereal or just have them alone with some sprinkling of rock salt. 5. Flaxseeds: Flaxseeds are rich in omega-3 fatty acids, fiber and phytoestrogens, all of which help in boosting heart health.